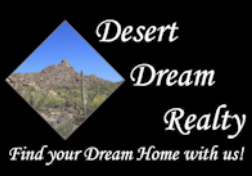 Changing your Brokerage to Desert Dream Realty | Desert Dream Realty Cave Creek | 480-252-8300 | Find Your Dream Home with Us! There are several steps to follow when you decide to change brokerages but you might be surprised to learn that ARMLS is not involved in this process. We’ve outlined the basic steps you need to make the switch. Step 1. ADRE has an online system to initiate a change/new broker request. Visit their ReaL system here and follow the instructions. Step 2. Your association has a broker/office form to complete and additional instructions. See the forms here: SEVRAR, SAAR, WEMAR, PAR, WPAR. Step 3. Your association must facilitate the transfer of your listings, if you’ve been granted permission by the seller, from your old broker to your new broker. For more on transferring listings see below. Why Do My Listings Display My Old Brokerage?